Some people who disappear near the tight-knit town of Henbane are never seen again. And some people who disappear are later found murdered, their bodies put on display for all to see as warning. Few second guess why it might happen. Nobody wants to ask uncomfortable questions. 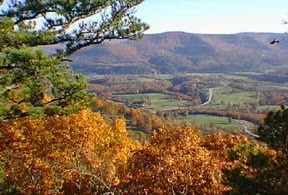 There is a different kind of justice that plays out in the Ozark Mountains. People keep to themselves and expect everyone on the outside to respect it, except Lucy Dane. She was raised in Henbane too, but most people still saw her as an outsider like her mother who disappeared almost two decades ago. The Weight Of Blood unravels scores of small town secrets. When Lucy Dane finds a necklace that belonged to her disappeared friend Cheri Stoddard, she vows to find out what happened despite neighbors warning her away from digging too deep. It's obvious to them it was an outsider. Henbane had its customs. People who disappeared were generally fed to hogs or buried in the woods or dropped in an empty well. They weren't kept hidden away somewhere for almost a year and then set out for display. Things like that just didn't happen, not even in a town as dysfunctional as their town. It was much more common for people to simply vanish, making it easier for everyone to imagine that they had skipped town or ran off or somehow got lost in the thick and wild woods on their own. In fact, that is what most folks thought about Dane's mother. As the story was told, Lila had wandered into a cave with a shotgun and never returned. It was absurd, of course, but the alternatives never seemed plausible until Cheri turned up. The idea that Lucy's father or someone else in town could have killed her mother outright was almost too hard to fathom. The story smolders along like a slow burning fuse. The idea is not too hard to fathom for anyone reading the story. 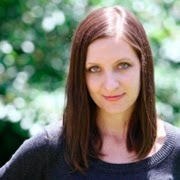 Author Laura McHugh mostly alternates the telling between Lucy and Lila, giving readers some insight into what happened. As Lucy learns how both disappearances might be connected in the present, Lila unintentionally comes between the two Dane brothers — her employer Crete Dane and his gentler brother Carl Dane — in the past. Both brothers have an interest in her, but one of them has much darker ambitions than the other. It was the reason she was hired in the first place. A few more graphs about author Laura McHugh. While the town of Henbane is fictitious, much of its surroundings are authentic. A game ranch, commune, and militia camp mentioned in the novel were all real places. The general store, although now long since gone, is drawn from the author's memory too. Even Cheri Stoddard is based on actual kidnapping case. The real-life victim survived but endured much worse. And it is this very thought — that things so sinister and terrible can happen in plain sight where you live— that catapults the story along. Born in Iowa before moving the the Ozarks, McHugh always dreamed of being a writer before deciding to find more stable work despite her degree in English with an emphasis in creative writing from Truman State University. She worked as a software developer until she was laid off. With encouragement from her husband, she started writing again while their two daughters were at school. 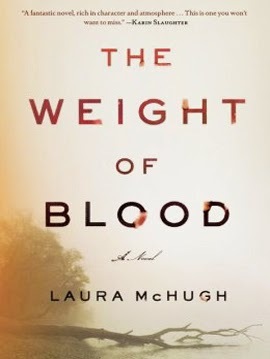 The Weight Of Blood By Laura McHugh Spooks 8.1 On The Liquid Hip Richter Scale. While not as brutal, McHugh joins author Daniel Woodrell in painting a stark portrait of the Missouri Ozarks, where familiarity breeds its own sense of gritty civility and country justice. The people who live there place added weight on what it means to be family or part of a community. The lifestyle may be hard, but folks tend to look after their own — even when their own have crossed criminal lines. The Weight Of Blood by Laura McHugh can be found on Amazon or downloaded for iBooks. The Weight Of Blood can also be ordered from Barnes & Noble. The audiobook is narrated by Dorothy Dillingham Blue, Shannon McManus, and Sofia Willingham. They bring life more than bleakness to the bubonic landscape beyond the arm of the law.